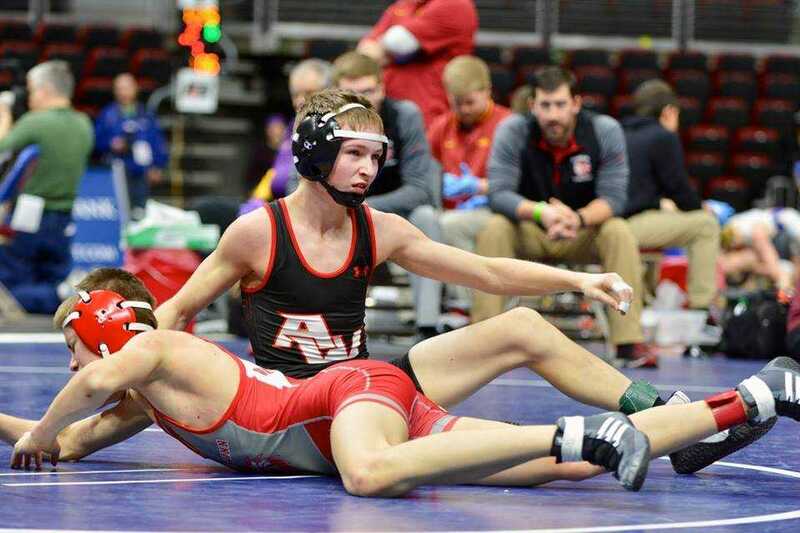 (Photo Courtesy of INA Photo Pool) Above, Travis Theisen wrestles against Gage Linahon of Newton in the third place match. 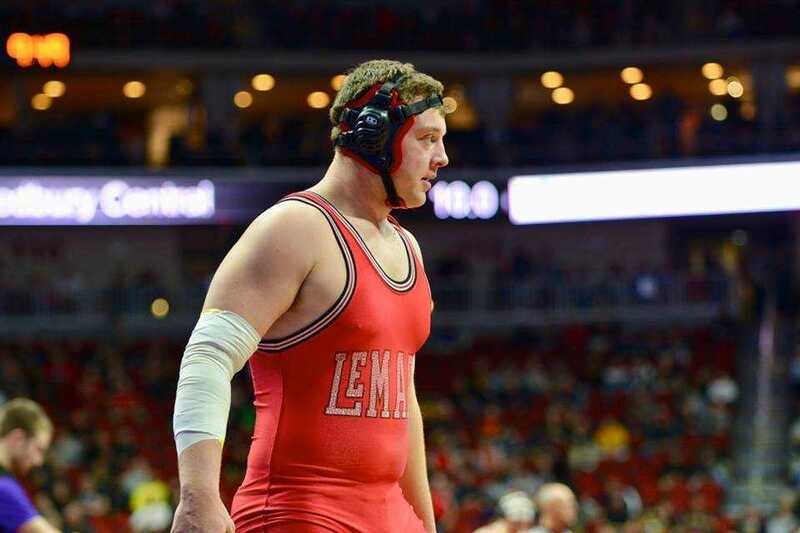 Linahon won the match by a 5-2 score as Theisen finishes his senior season with a fourth place finish and a 43-8 record. 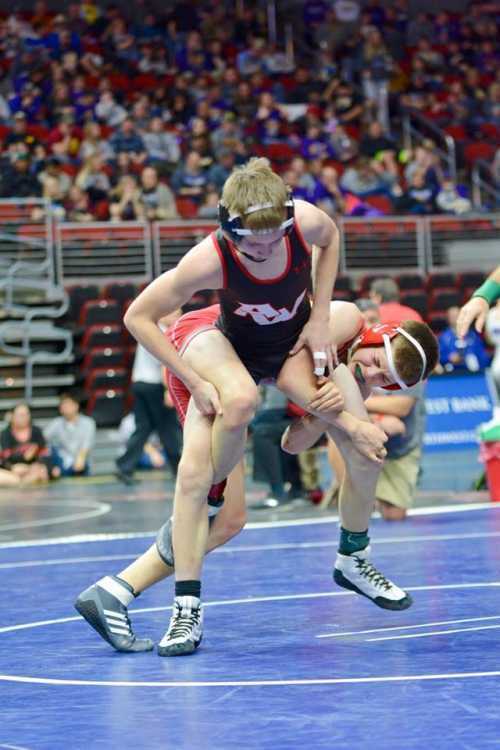 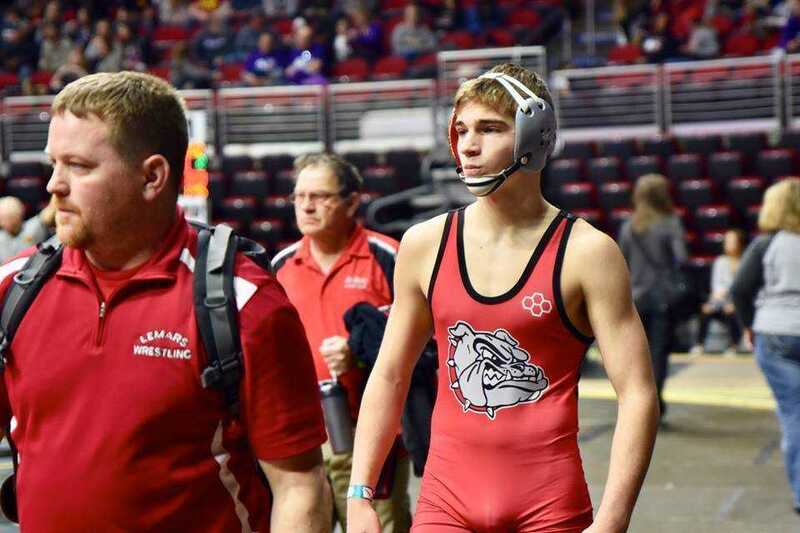 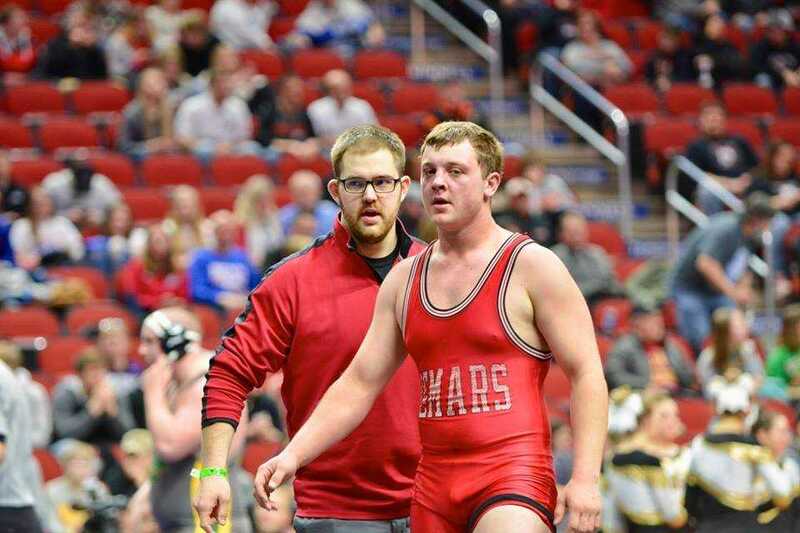 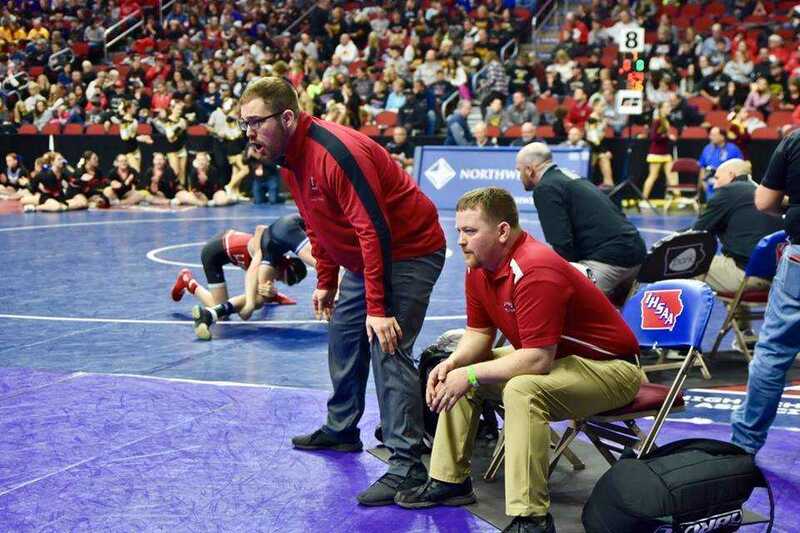 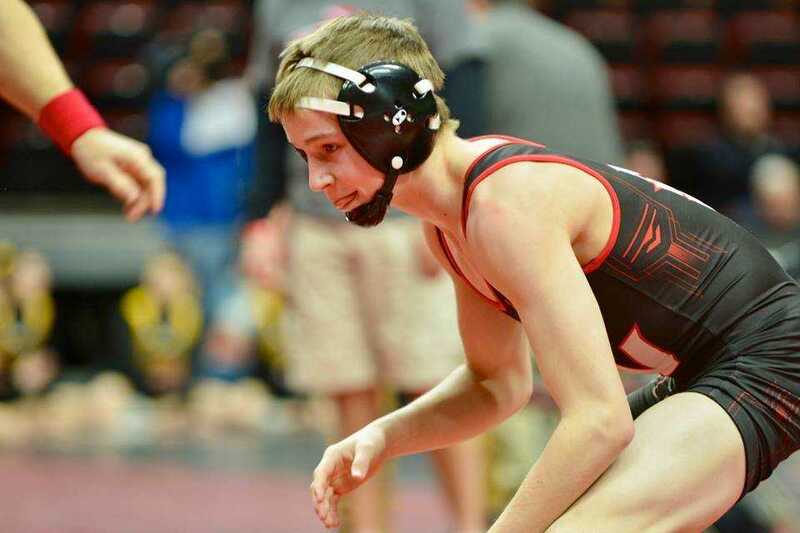 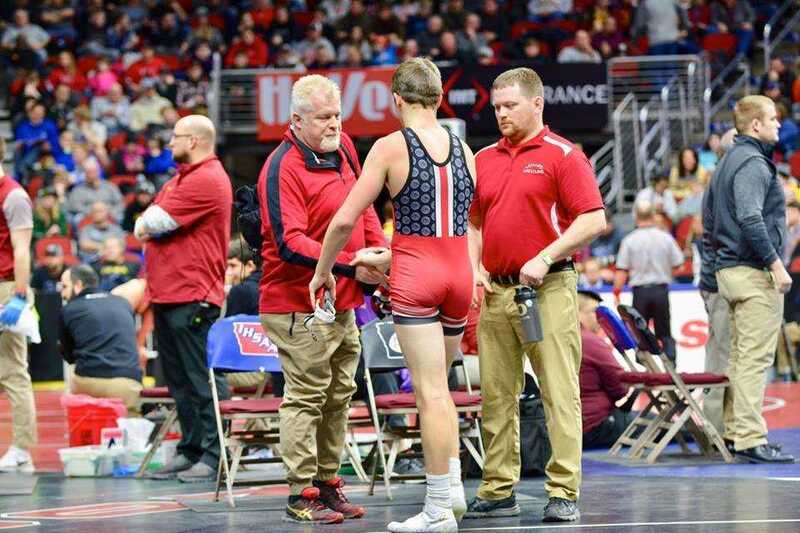 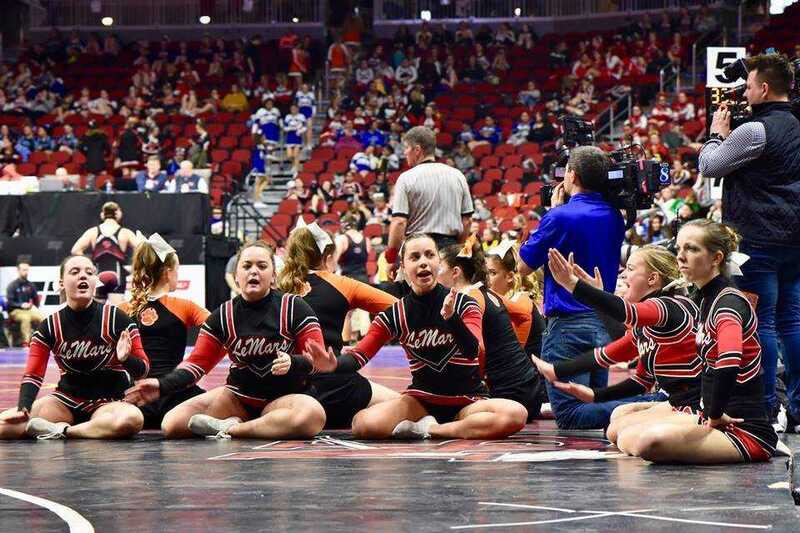 DES MOINES — After an eighth place finish last season, Le Mars Community’s Travis Theisen was in good shape to make the podium once again after his 5-4 opening round win over Cael Thorson of Waukee. 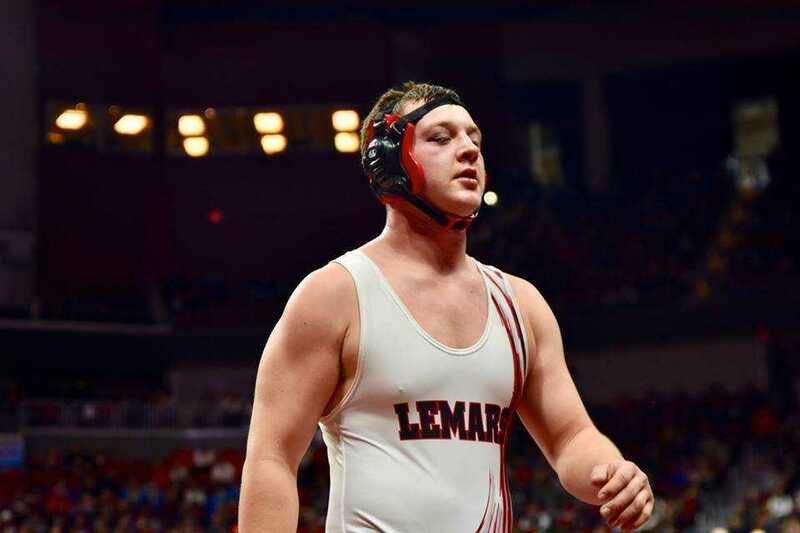 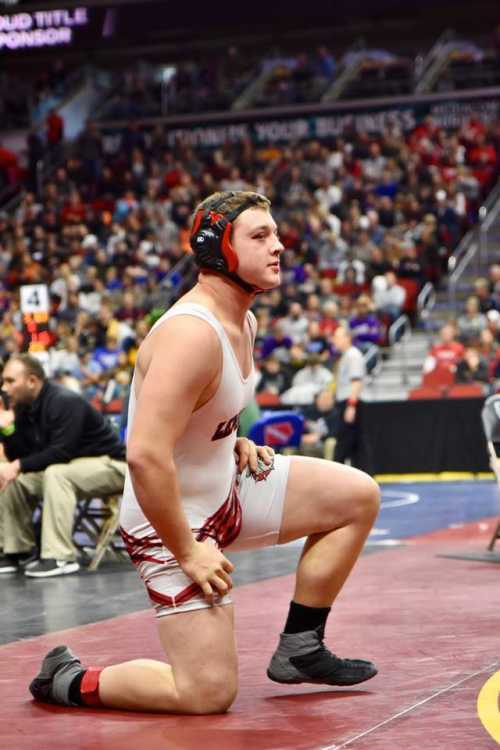 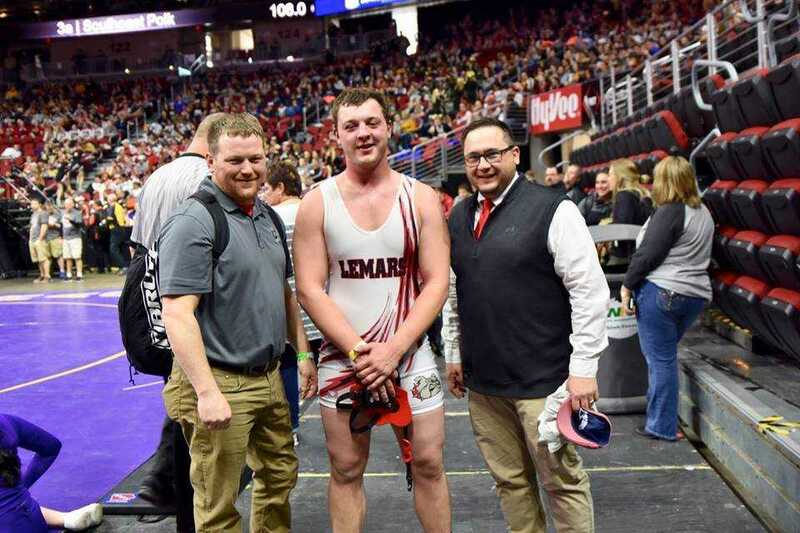 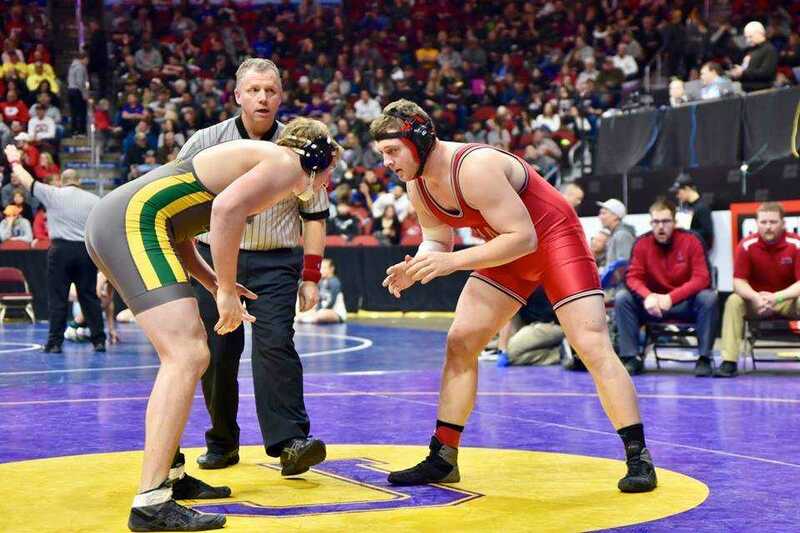 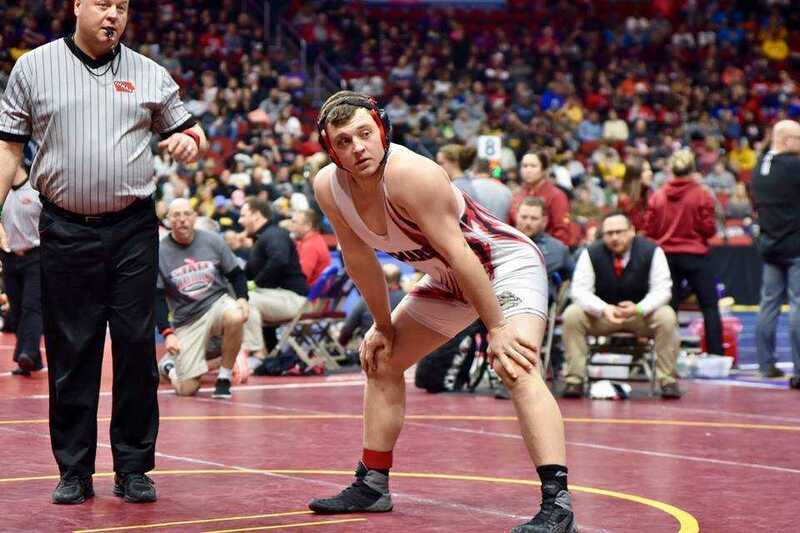 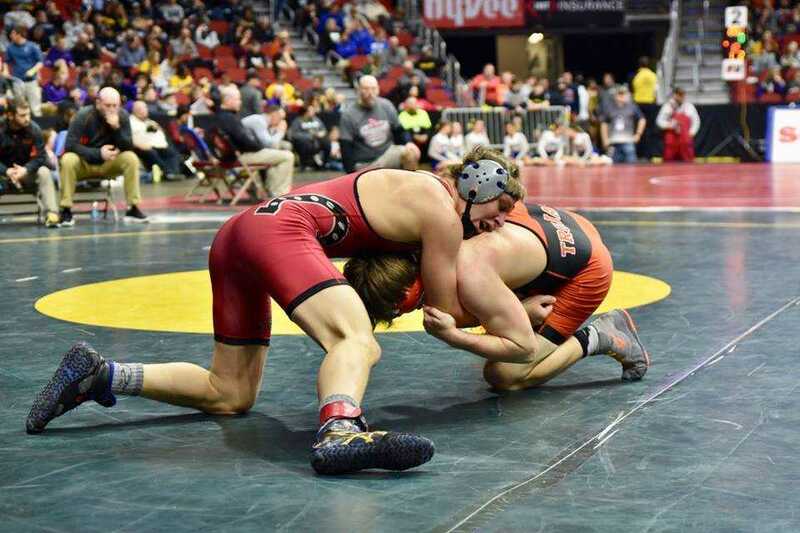 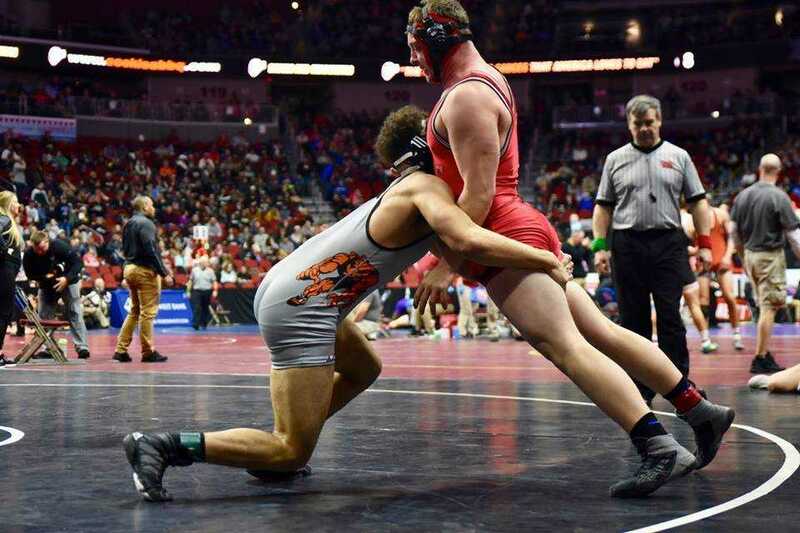 He was able to do so as he claimed fourth place at the Class 3A 220-pound division. 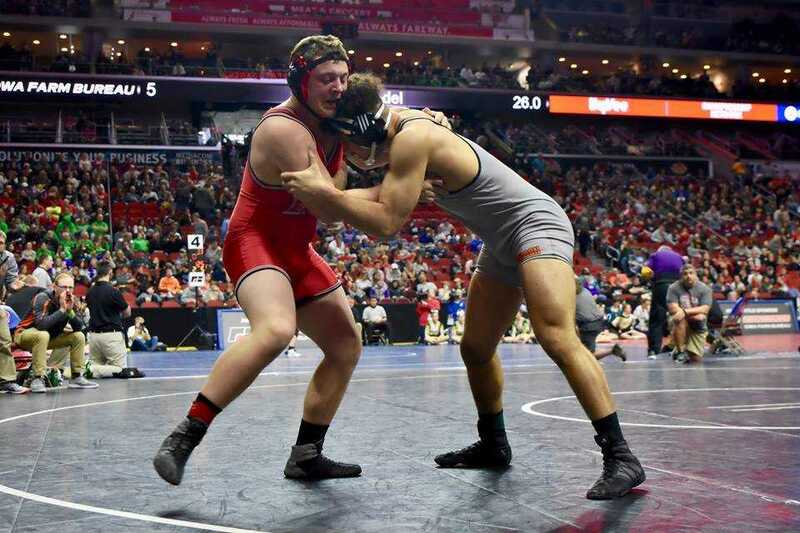 Friday’s quarterfinal match was a rematch from last year’s first round as Theisen met up with Cam Jones of Cedar Rapids Kennedy. 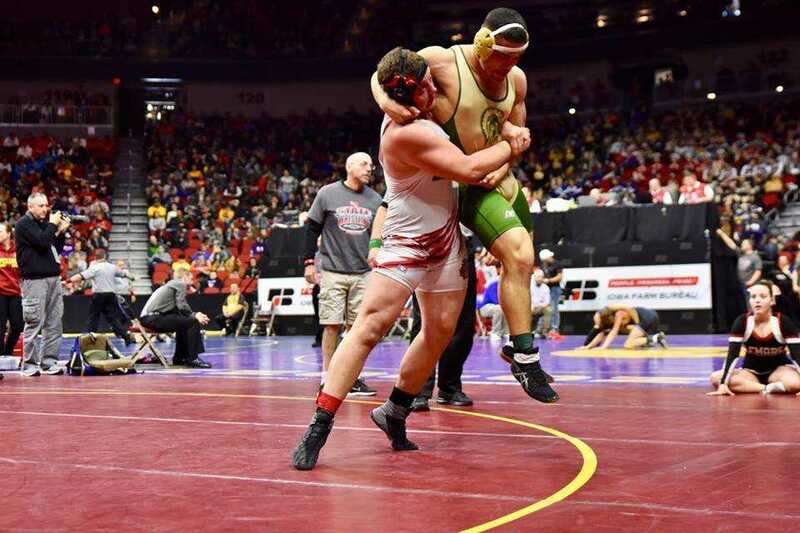 While a high-scoring battle last year which Theisen won 14-9, this year’s matchup contained little scoring. 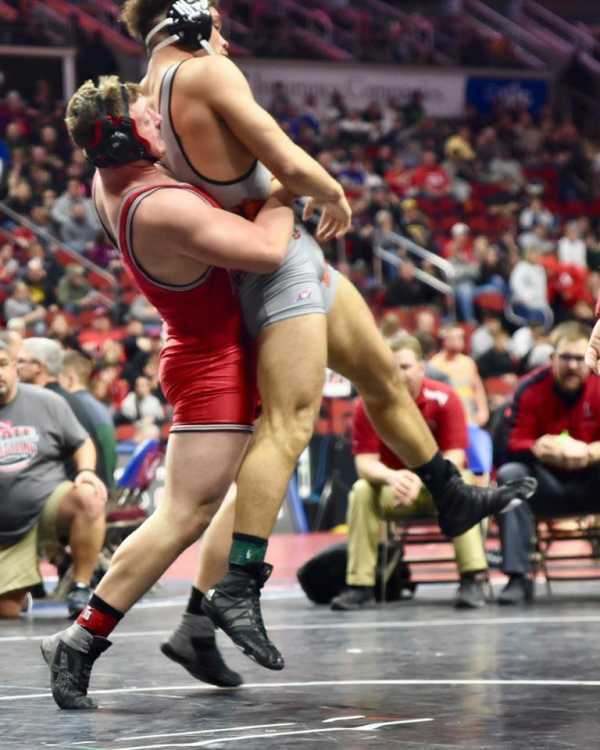 Theisen struck first with a takedown with 41 seconds left in the first period, but Jones was able to escape a few seconds later. 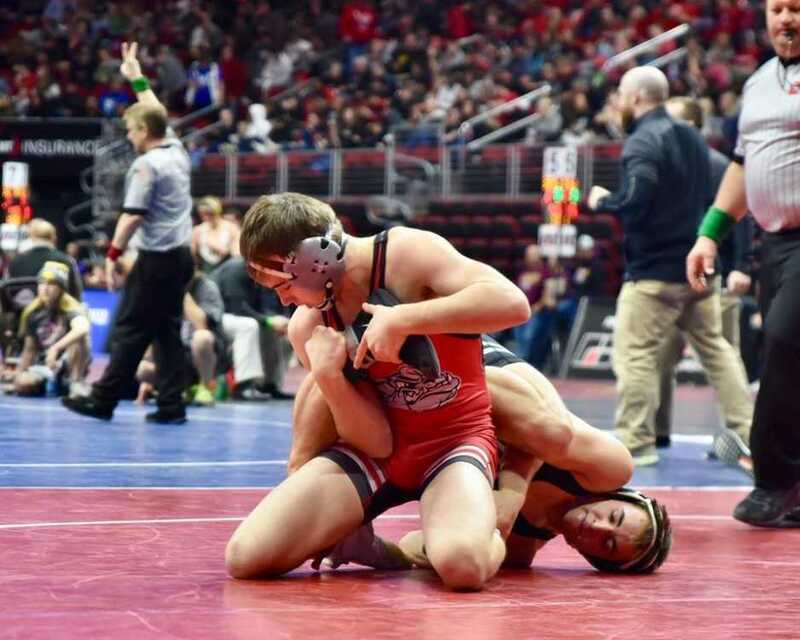 Jones knotted the match up at 2-2 after choosing the bottom position to start the second period and earning an escape. 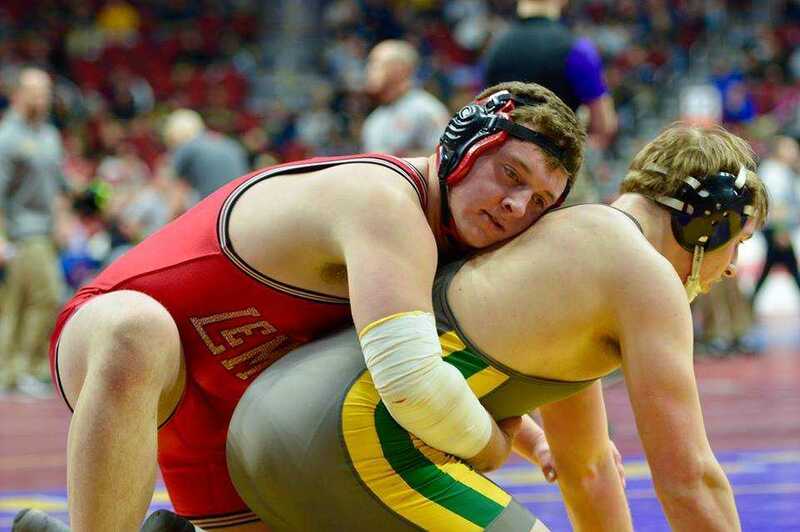 The match remained that way until the third when Theisen did the exact same thing to take a 3-2 lead. 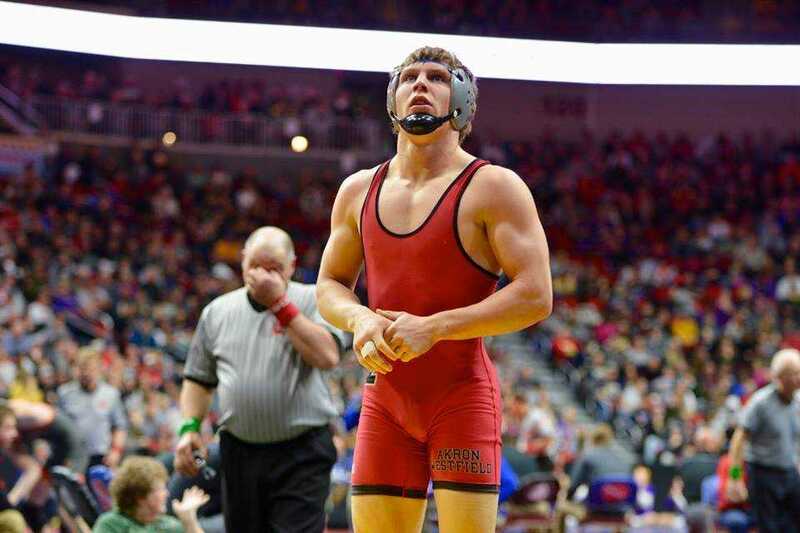 Theisen got a stalling warning late in the match, but emerged victorious with a 3-2 decision win. 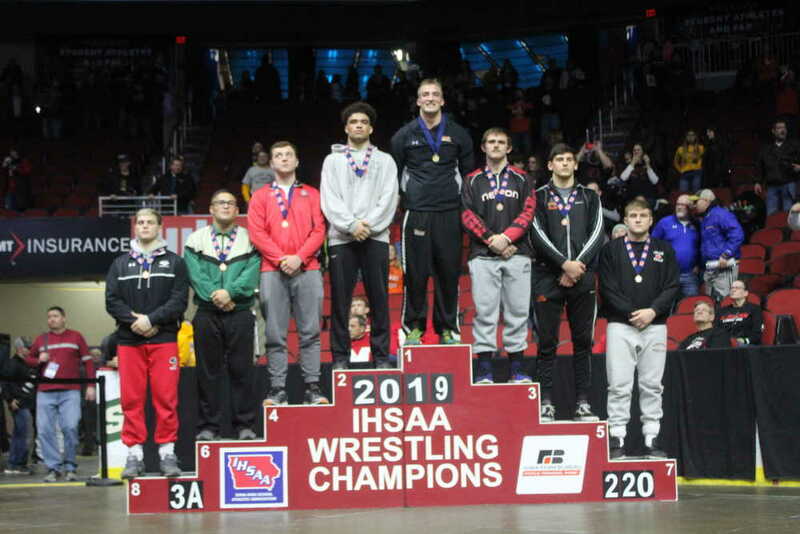 It was a bit of an upset by way of seeding as Jones had earned the third seed in the bracket, ahead of sixth-seeded Theisen. 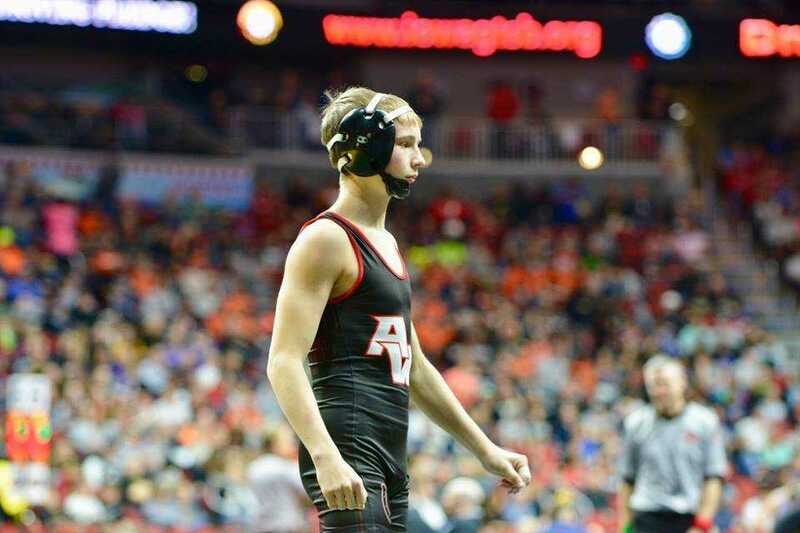 Council Bluffs Thomas Jefferson’s Cameron Baker, the second overall seed, awaited Theisen in the semifinals. 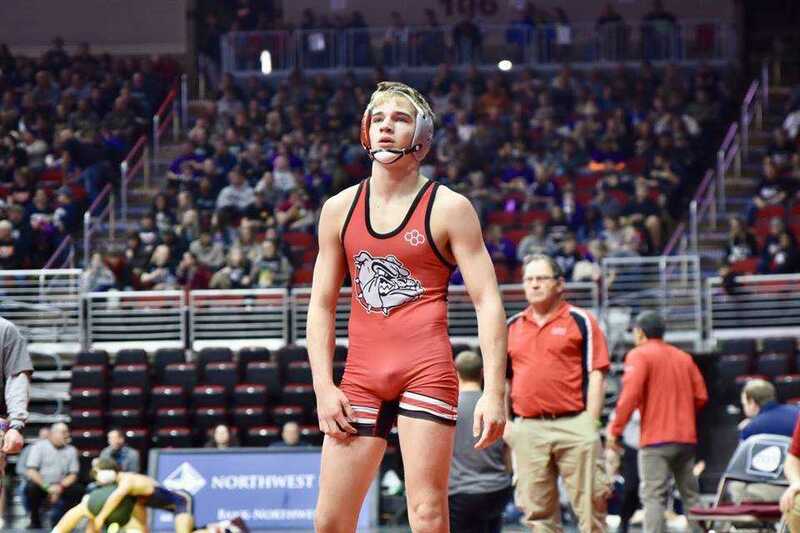 Baker had pinned his first two opponents, but the Bulldog would not go down as easily. 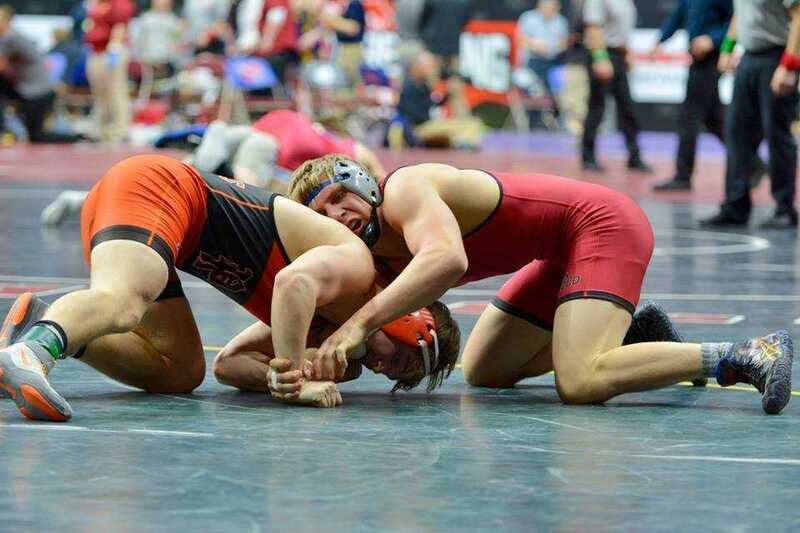 Baker scored a takedown in the final 10 seconds of the first period to take the early lead. 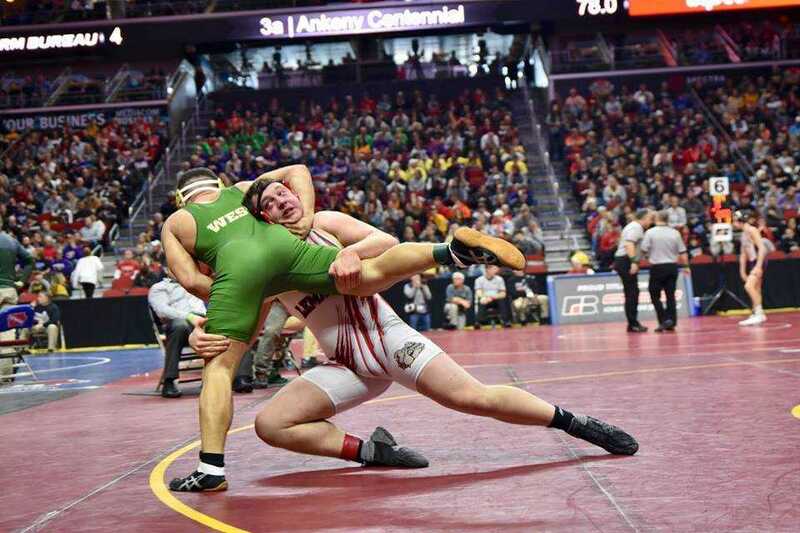 Theisen started with his choice of bottom in the second period and worked an escape 12 seconds into the frame. 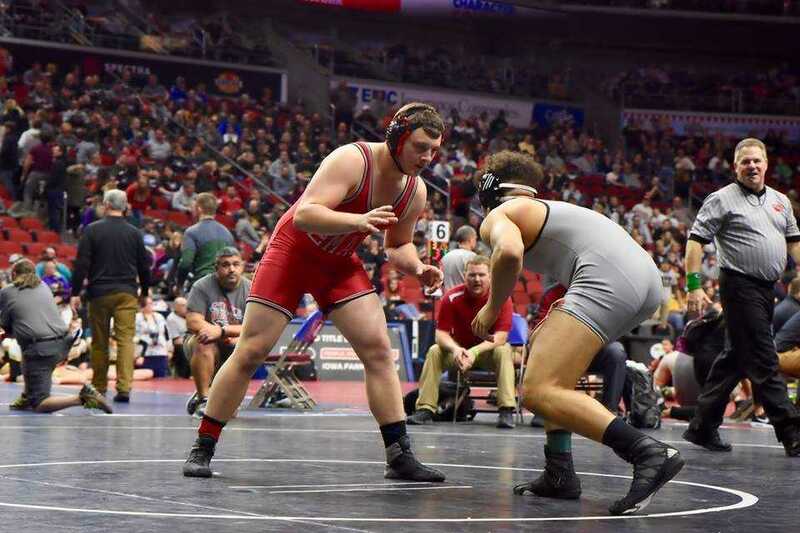 It was a similar situation in the third as Baker earned an escape from the bottom in what would finish the scoring for the match in a 3-1 loss for Theisen. 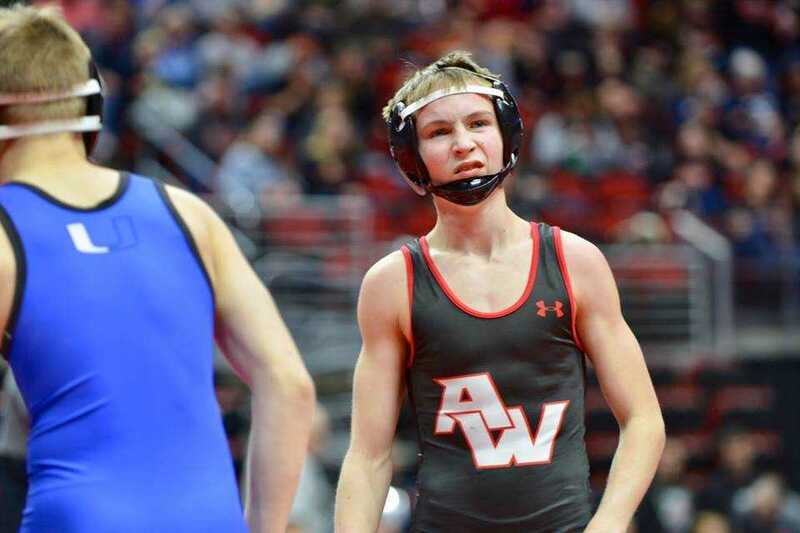 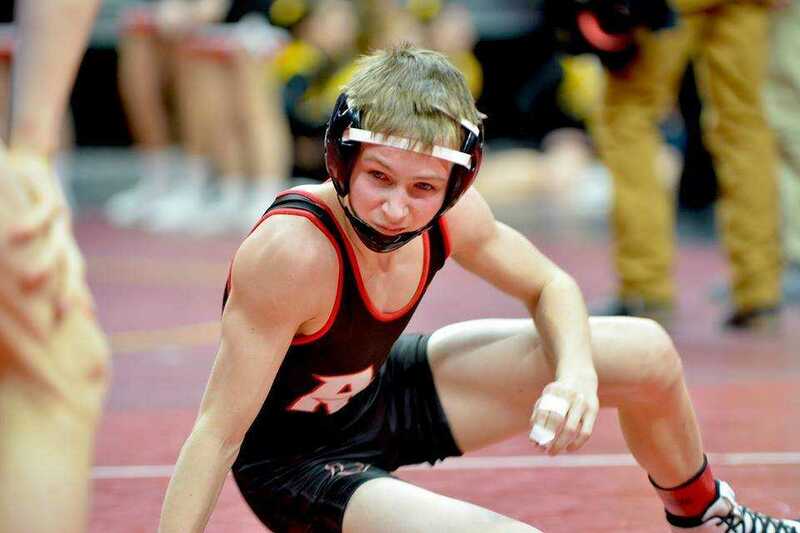 The win advanced Baker to the title match where he lost to Beau Lombardi of West Des Moines, Valley in a 4-1 tiebreaker battle. 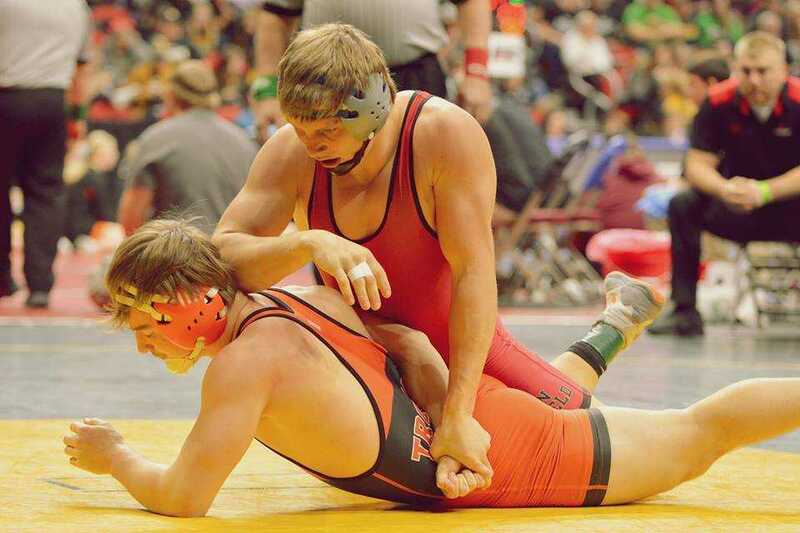 Theisen scored one more win in the consolation semifinals, this time on the winning side of a 3-1 decision. 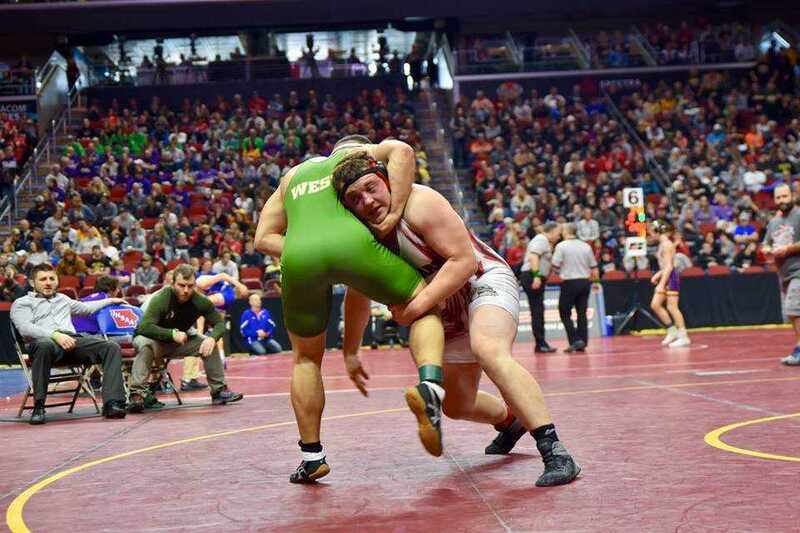 Landon Green of Iowa City West took a 1-0 lead with an escape in the second before Theisen tied it with an escape of his own in the third. 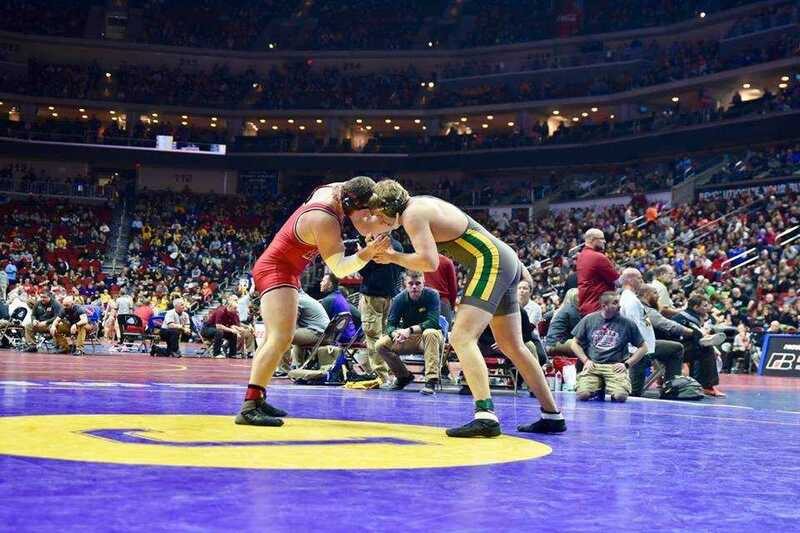 The match was decided by a late takedown by Theisen. 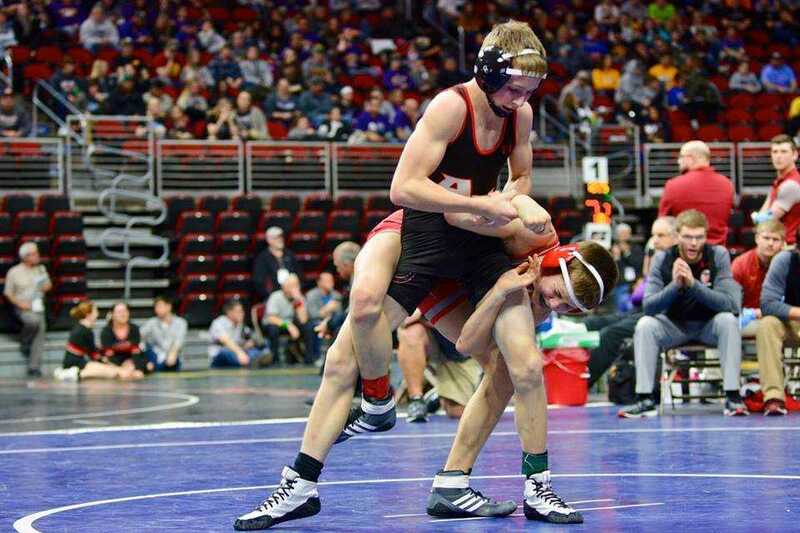 In the third place match, Gage Linahon of Newton scored a 5-2 victory. 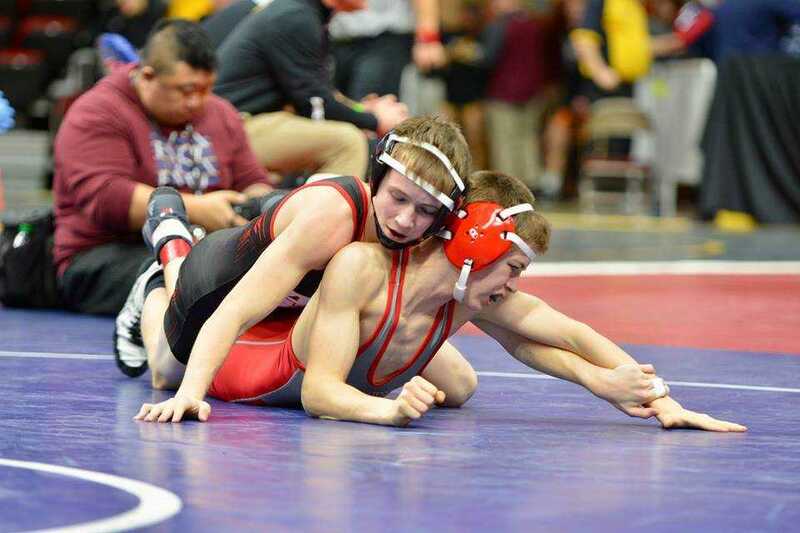 A takedown by Linahon was followed by an escape to put the score at 2-1 after a period. 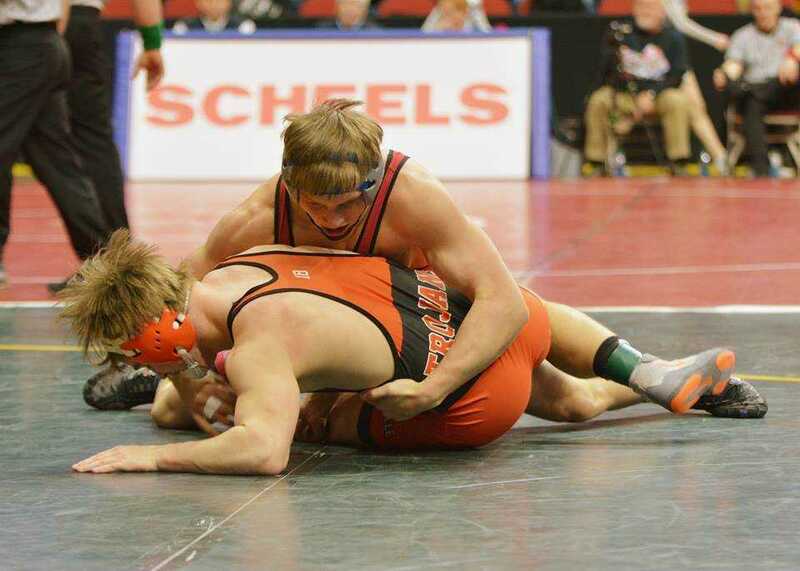 Linahon added to his lead with an escape and takedown in the second. 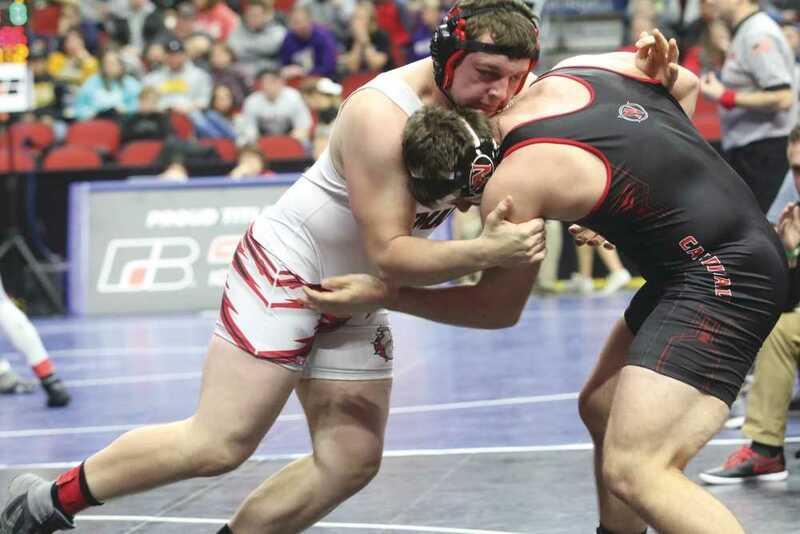 Theisen was able to escape from the bottom position to start the third, but was unable to score any more in the match. 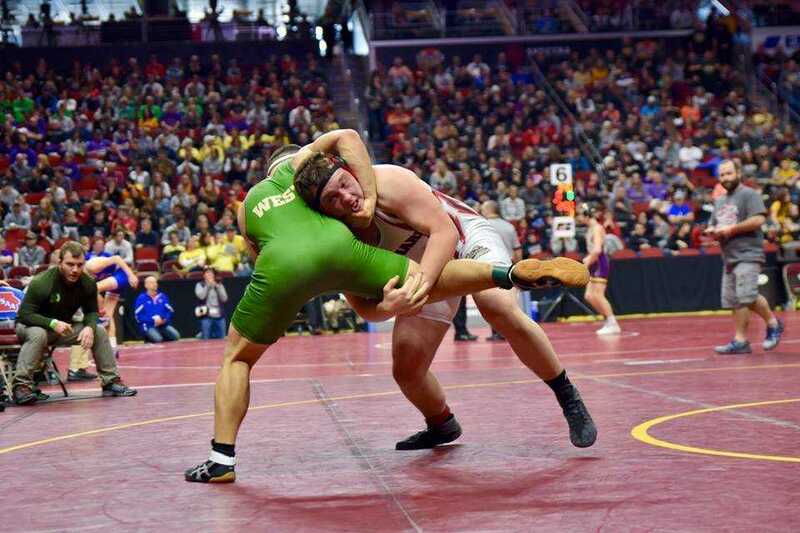 Theisen ends his senior season with a 43-8 record and fourth place finish. 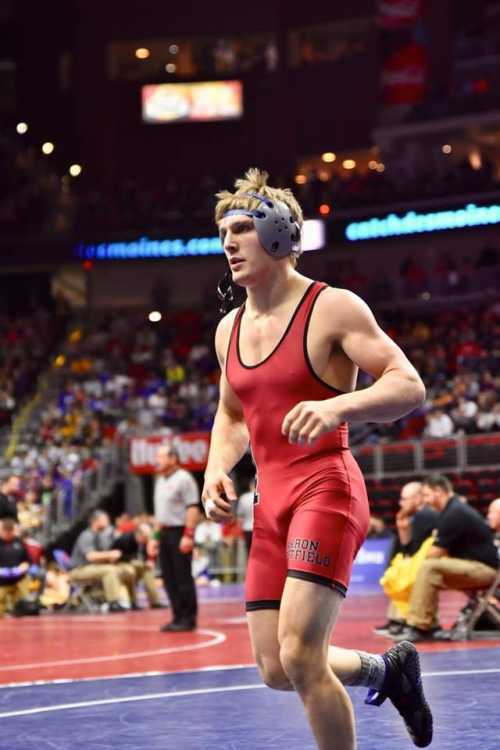 He was 37-13 in his eighth place season a year ago.